A Grove TM-9120 and a Link Belt 8670 are shown lifting a vessel at 30 degrees. 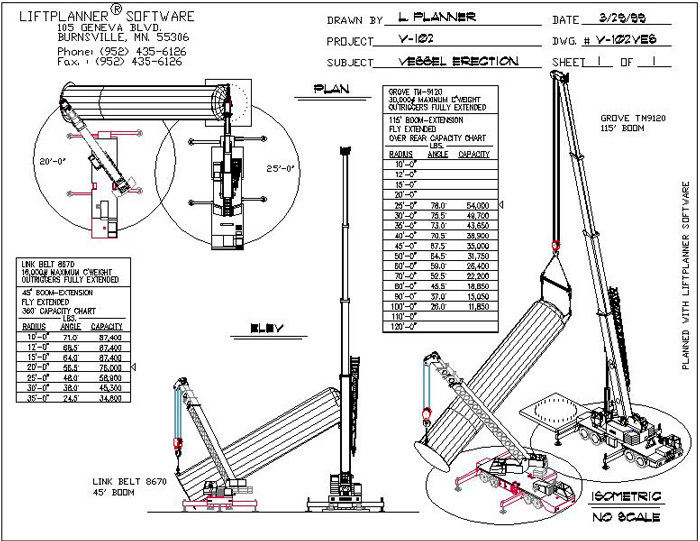 Multiple crane lifts are permitted in LiftPlanner. Note the curved lifting lug and rigging that are included with LiftPlanner.